This year, Burger Week is getting delivered…again. 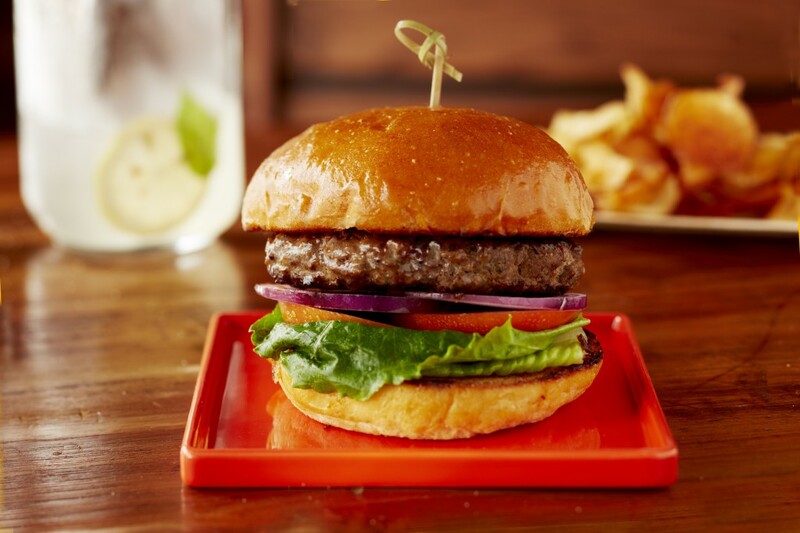 Burger Conquest has once again partnered with delivery.com to curate a list of awesome restaurants that are featuring off-menu Burgers only available on delivery.com and only during NY Burger Week from May 1-7, 2014. This means you can get the best of Burger Week – from Burgers glazed in Apricot Ale’s to Burgers stuffed with Pepperoni & Chili Sauce, – delivered right to your door with delivery.com. Follow delivery.com & Burger Conquest on social media all week for photos and updates. Be sure to tag us both when posting glorious Burger photos to your social networks and add the hashtag #BurgerWeek. Here’s a list of participating restaurants and their exclusive burgers only available on delivery.com. Click on the hyperlinks to go directly to their delivery.com page. Pictures where available. Click here to get $5 off your 1st order if you are a first time user. 1. The Lamb Kofta Burger from Matt’s BBQ (Flatiron) includes a homemade premium lamb patty bursting with flavor from the Indian spices and herbs sitting inside a brioche roll topped with lettuce, tomato, and onion, along with masala chips and their signature mild spicy sauce. 2. 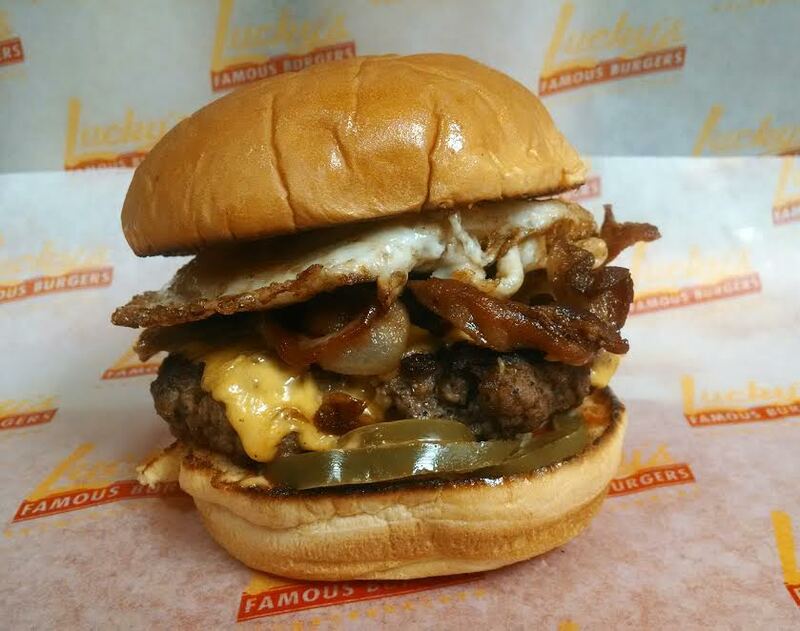 The L.E.S burger from Lucky’s Famous Burgers (Midtown), (Downtown), (SoHo) is bringing the heat. 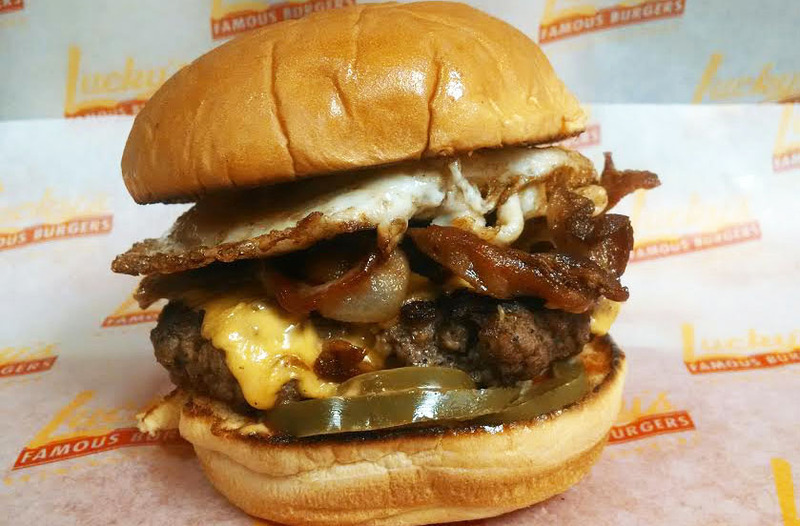 A beef burger topped with apple wood smoked bacon, a fried egg, melted American cheese, jalapenos, ketchup and chipotle mayo. 3. 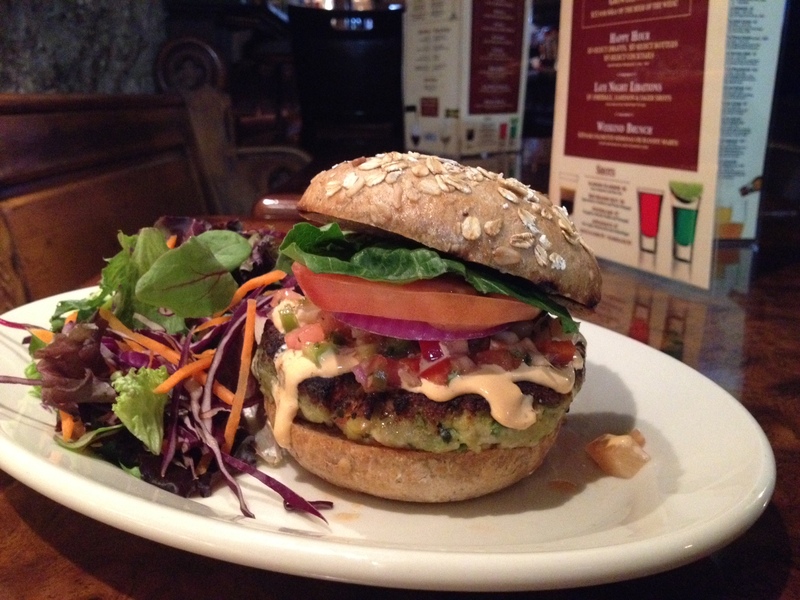 The Mole Jalapeno Burger from GustOrganic (Greenwich Village) is keeping it real! A a 6oz beef patty grilled to perfection, served with lettuce, tomato, and onions, and topped with mole sauce, sliced avocado, sesame seeds, and jalapeno-cheese reduction all served on a whole wheat bun. 4. The Korean Fried Chicken Burger from Barkogi (Midtown East) is turning your favorite Korean BBQ into the ultimate burger. A double fried Korean fried chicken with soy garlic glaze, kimchi slaw, romaine lettuce, red onions, and house sauce on a toasted bun. To assist that monster burger is a side of truffle shoestring fries. 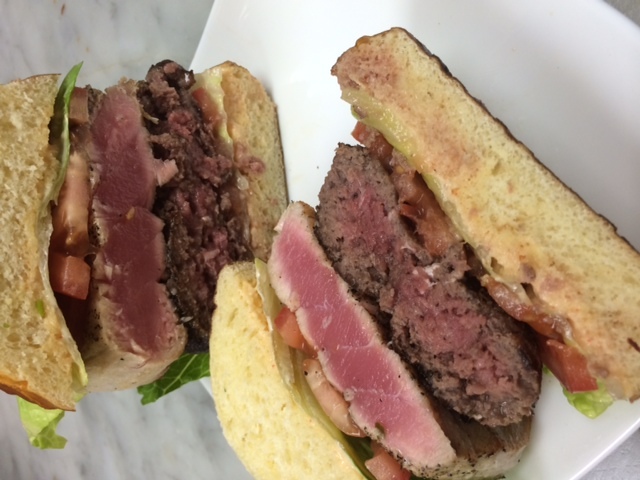 5.The Aleo Sirloin Burger from Aleo Restaurant (Flatiron) is taking you to flavortown. A fresh ground sirloin burger with caramelized onions, crispy prosciutto, and melted Gorgonzola with pickles on an English Muffin Sandwich, complemented with a side of homemade steak fries. 6. The Kosher Burger from Fine & Schapiro (U.W.S) includes pastrami served with lettuce, tomatoes, onions, coleslaw, and pickles and includes fries and a complimentary soda. 7. The Cinco de Mayo Burger from El Toro Mexican Grill (Financial District) is bringing the fiesta to your taste buds. An 8 oz beef burger from Burger Maker topped with Mexican cheese, guacamole, pico de gallo, chipotle mayo, lettuce and tomato all sitting in a toasted brioche bun. 8. 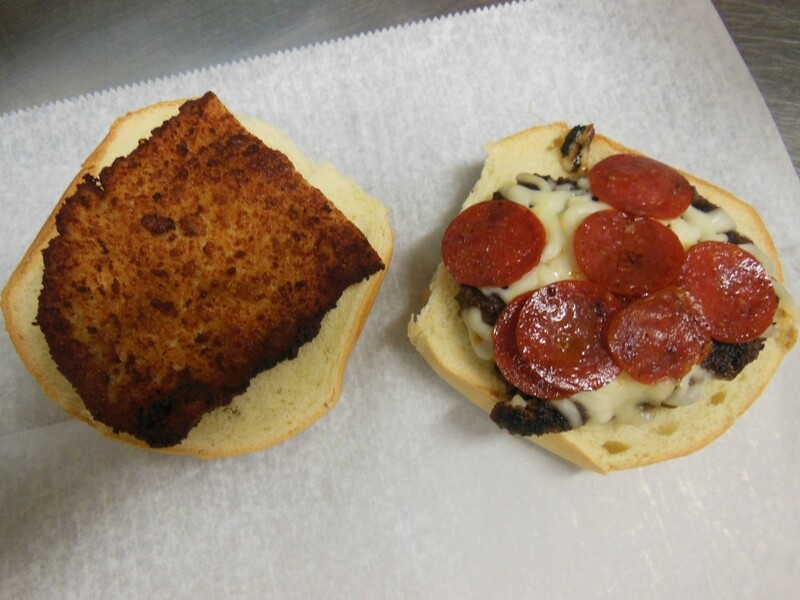 The Tuscan Burger from EJ’s Luncheonette (U.E.S.) 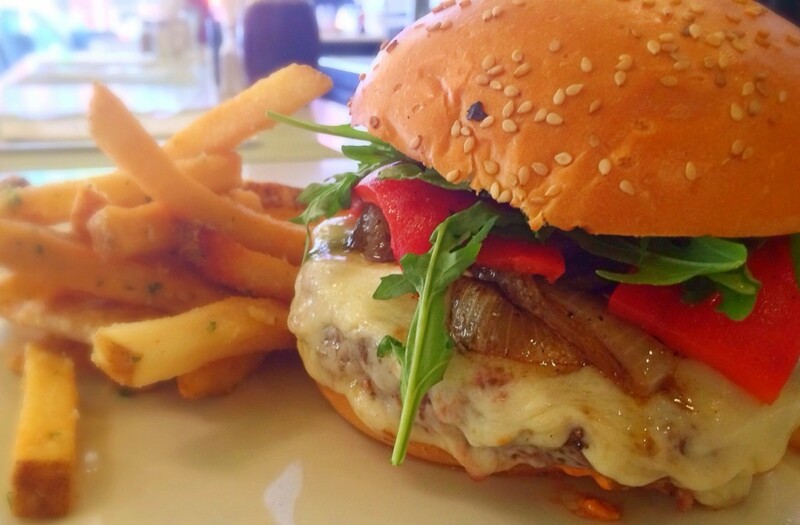 is packing in the flavor on a grilled brioche with mozzarella cheese, roasted red peppers, sautéed onions, arugula and a sun-dried tomato pesto aioli. Served with Parmesan and Garlic French Fries. 9. The Picnic Burger from Oscar’s Place (West Village) brings the joys of a picnic into a giant burger! A brisket/short rib blend with brie cheese and thinly sliced apples on a ciabatta roll with Oscar’s special sauce served with chips and garden salad dressed with their dijon mustard vinaigrette. 10. The Banh Mi “sliders” from Le Colonial (Midtown) is steering away from the traditional sliders. A toasted baguette with pickles, Vietnamese ham, and foie gras with your choise of either shrimp crisps or papaya salad. 11. The Yorkville Burger from Salvo’s Pizzabar (Yorkville) is taking the flavors of pizza and transforming them into a delicious burger! 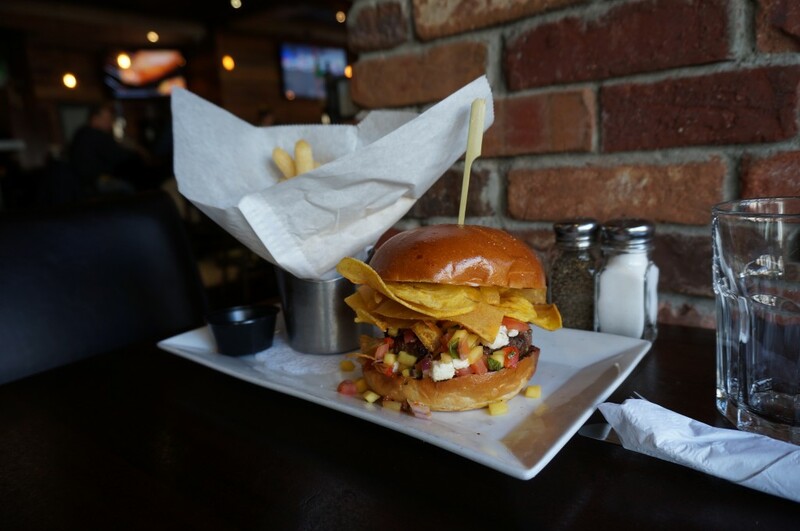 The Yorkville burger is 100 percent ground beef, fresh mozzarella, chopped tomato, onion, garlic and basil, with a touch of extra virgin olive oil. 12. 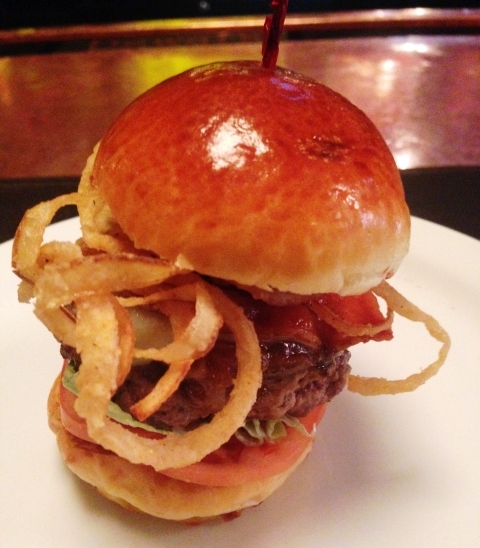 The NYBC Drunken Burger from New York Beer Company (Hell’s Kitchen) is ready for the party! 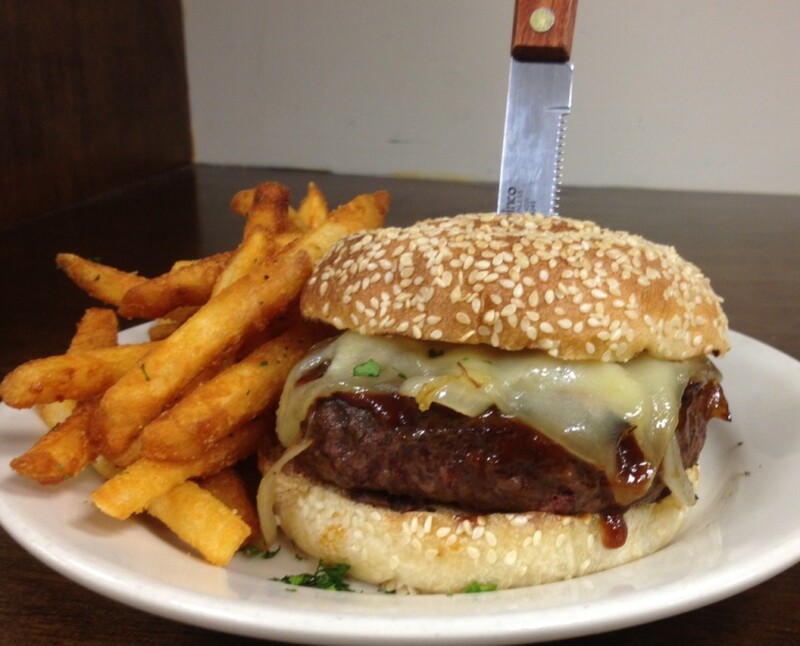 Made with their chef’s signature juicy burger glazed in Ithaca Apricot Ale, topped with caramelized onions, Swiss cheese, and BBQ sauce served with a side of fries. 13.The Grilled Salmon Burger from House of Brews (Hell’s Kitchen) on 51st street includes a freshly ground Atlantic salmon patty topped with a housemade pineapple salsa, on a multigrain sunflower seed bun with a choice of a garden salad or french fries on the side. 14. 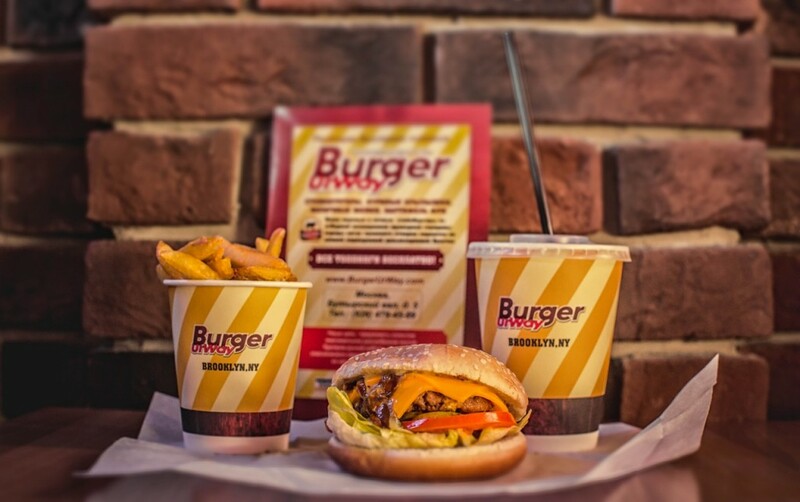 The Steak Burger from Burger UrWay (Fort Greene) is a freshly ground 100 percent angus beef patty from Burger Maker served on a fresh toasted kaiser roll or multigrain bun. 15. 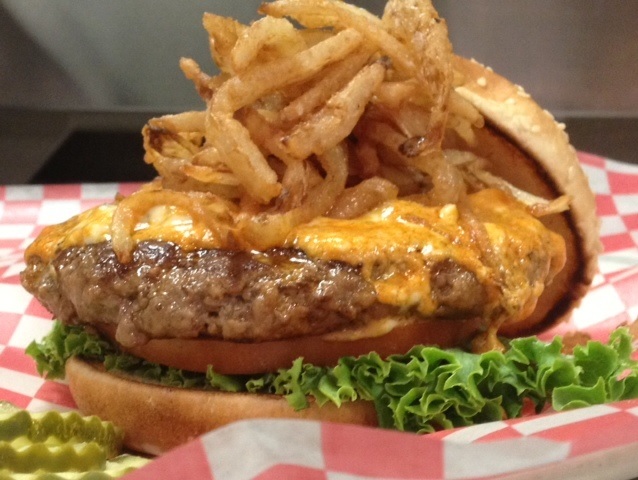 Gracie’s Burger Deluxe from Gracie’s on 2nd Diner (U.E.S) is putting a spin on the classics. The Deluxe includes melted American cheese, sauteed onions and sauteed mushrooms. Served with lettuce and tomato and a side of fries. 16. 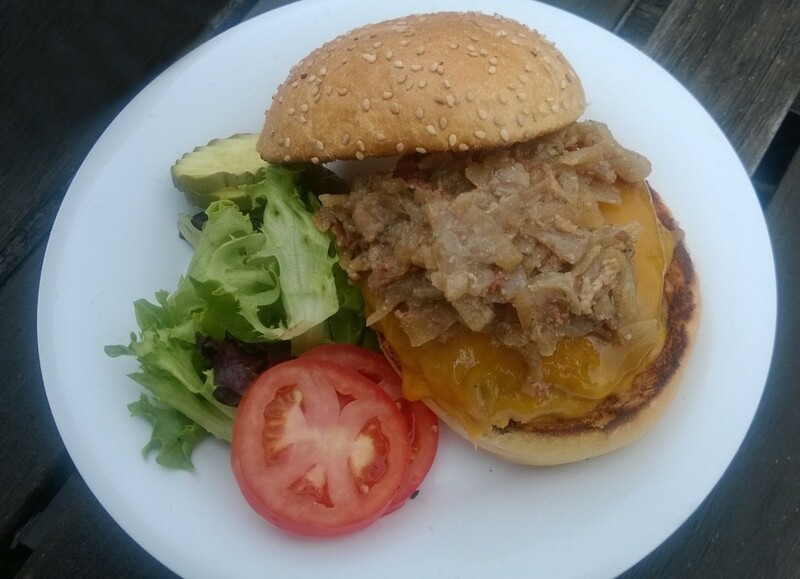 The Kobe Burger from The Burger Bistro (Astoria)(Park Slope)(Bay Ridge)(Yorkville) is an American classic simply grilled and served with your toppings of choice! 17. The Cowboy Burger from Piazza Pizza (U.E.S.) embraces life’s simple pleasures. Topped with grilled mushrooms, onions, and bacon and served with lettuce, tomato and a side of fries! 18. The Cobb Burger from Wrap & Roll Grill (U.E.S.) 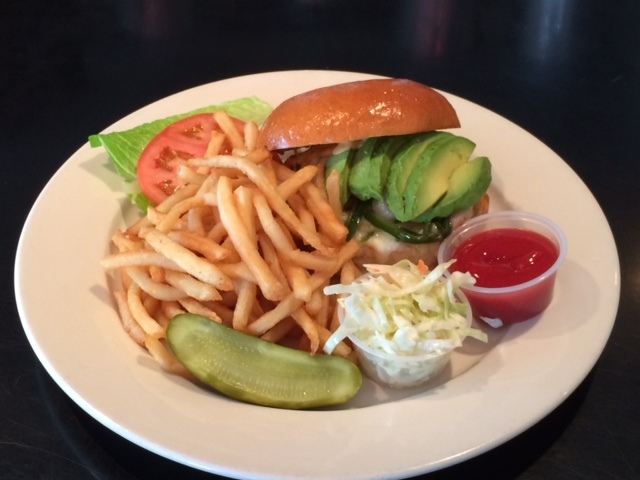 combines crumbled Bleu cheese, avocado, bacon, lettuce and tomato – served with a side of french fries. We suggest planning ahead on how to approach this behemoth. 19. The Classic Burger from Supper (East Village) keeps it classy with their Angus Burger. We recommend adding Parmigiano or Fontina Cheese. 20. The Supper Burger at Supper (East Village) is an Angus Burger with Gorgonzola cheese & lovely Truffle Oil French Fries. You’ll never go back to “regular” burgers again. 21. The Challah at Me burger from Keg 229 (Financial District) is an 8 oz burger topped with thick cut bacon, mozzarella, American cheddar cheese, sauteed onions, and ranch dressing. All served between what other than thick sliced challah bread with rosemary and garlic fries on the side. 22. The Super Pizza Burger from Action Burger answers the most important culinary question in the world. These two beef super action burgers are stuffed with pepperoni, chili sauce, mozzarella cheese and bacon. Sound too good to be true? 23. 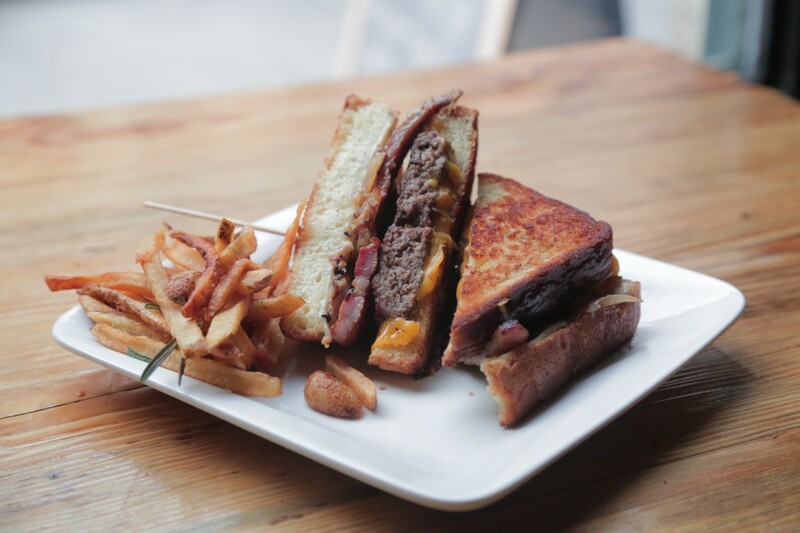 The Bourbon Burger from 67 Burger (Prospect Heights) is loaded with bourbon-braised bacon and onion marmalade, then topped with cheddar cheese. 24. The Signature Burger from Pound and Pence (Financial District) is an addicting combination of Certified Angus Beef from Burger Maker, provolone cheese, smokey BBQ sauce, applewood bacon, caramelized onions & crispy onion strings. Don’t say we didn’t warn you. 25. Southwest Short Rib Mac N’ Cheese Bacon Cheese Burger from Planet Mac (Hoboken) packs a punch. Try braised short rib, fire-roasted green chilies, grilled red onion, roasted red peppers & pepper jack cheese tossed with their house Bechamel & elbow pasta. Don’t forget that it’s served on top of their ground chuck, brisket & short rib ½ pound blackened burger with lettuce and sliced tomato. Yea, we’re not sure how exactly the mechanics of eating this works either. But we can’t wait to try. 26. The Flint Burger from B.A.D. Burger (East Village)(Williamsburg) lets you indulge in a half-pound of all natural special blend beef, smothered in cream cheese and topped with green olives. You’d be committing a crime against humanity if you didn’t try it. 27. Fernando’s Cinco de Mayo Burger from HENRY’s (U.W.S) serves up modern American with a hot twist; a classic sirloin burger, Monterrey-Jack cheese, pickled jalapeños, lettuce, tomato, onion and smoked BBQ sauce & served with a side of steak cut fries and chipotle-cilantro sour cream dipping sauce. 28. 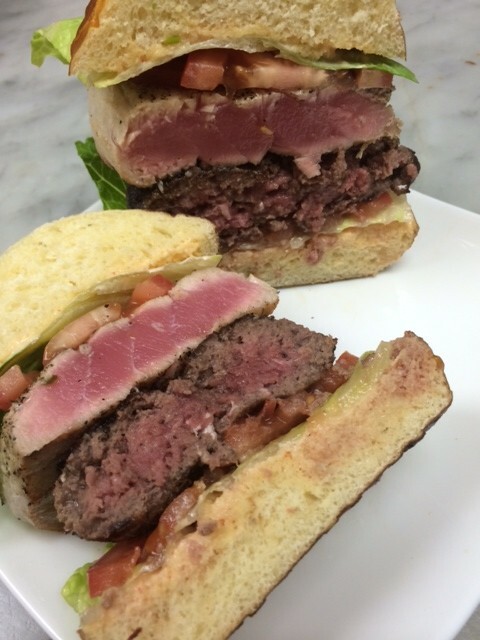 The Surf n Turf Burger from The Stand (Gramercy) will get your taste buds howling. Get a punch of flavor from this combination of beef patty & either seared tuna or salmon on their house pretzel bread with your choice of toppings. 29. Bill’s Angry Burger from Bill’s Bar & Burger (Midtown West) plays with fire with their 6 oz. beef patty, topped with Frank’s Red Hot Sauce, Bleu Cheese and frizzled onions on a toasted sesame bun. Finally, someplace that likes bleu cheese as much as we do. 31. 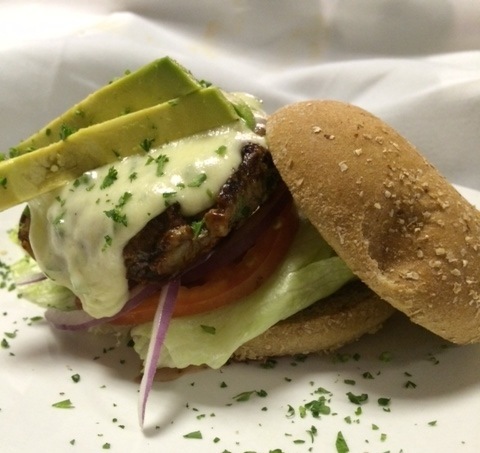 Hamburgueso Di Pollo Mexicano from The Diner (Chelsea) will spice up anyone’s week with its freshly ground white meat chicken w/ sauteed onions and jalapeno’s – topped with avocado, Jack Cheese & Mayo. Told ya so. 32. The Carbonara Burger from Macelleria (West Village) makes all your finger-licking dreams come true. Imagine prime beef, topped with fried egg, crisp pancetta, pecorino cheese and black pepper. We’re eggstatic. This entry was posted in Events, National Hamburger Month, New York, New York Burger Week and tagged Bar, Beer, best burger, breweries, burger, burger maker, ciancio, craft beer, david, delivered, delivery, delivery.com, events, Festival, food festival, food film festival, gourmet burger, happy hour, ny burger week, nyc, off-menu, pairing, party, restaurant, rev, the burger week. Bookmark the permalink.